This week, I was sent to work out of our Houston office for a few days. 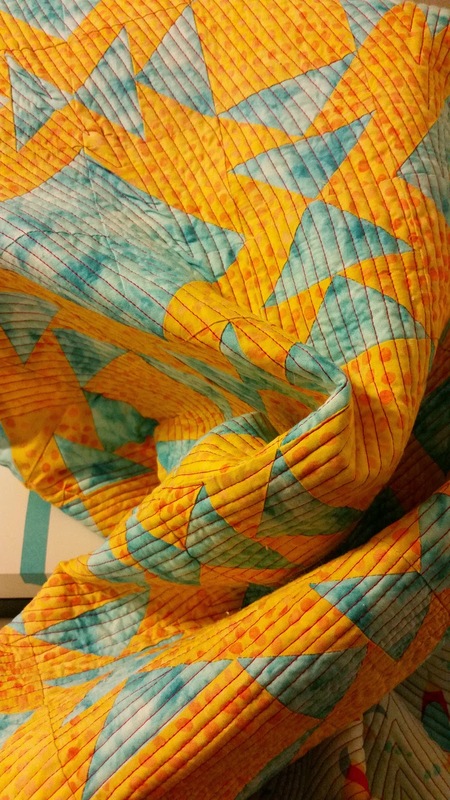 Whenever I am traveling,I try to take a lunch break and check out local quilt shops. While exploring Spring, TX, I found a gem. GRS Creations and Fabrics. I know, I know. The name doesn't really do it justice. To tell you the truth, I almost walked away. 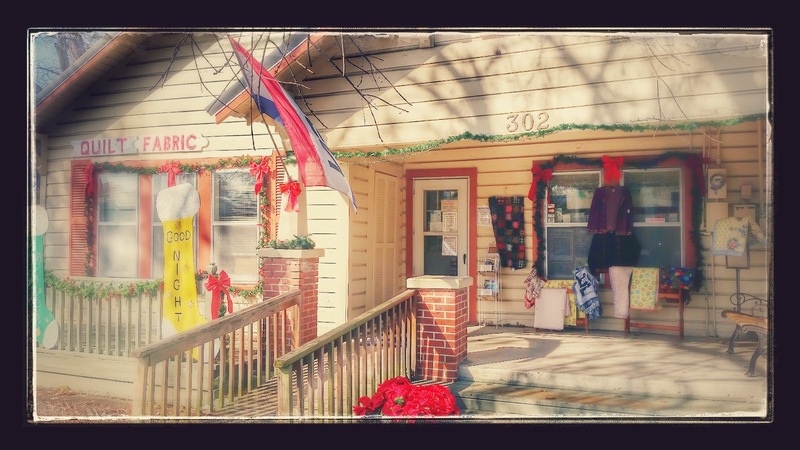 As I was driving down the street it was supposed to be on, I saw a sign in the front yard of one of what was obviously once a strip of small, vintage houses that have been turned into businesses. Okay. That's not abnormal for small town quilt shops. I parked my jeep and walk up to the front door of the building with the sign. It's locked, but there is a doorbell...and a UPS missed package slip. Not a good sign. I ring the bell and get nothing. At this point, I am thinking to myself "well, dammit...did I get the hours wrong?" So I pull it up on my phone. Google says it is open. I hit the button to call them. I get an answer after 2 rings. I ask if they are open and they are! I explain to her where I am and she says to go over one building. Apparently, they are so big that they take up 3 of those little houses on the strip. The door I was at is not the entrance. Still not expecting too much, I walk over to the correct door. 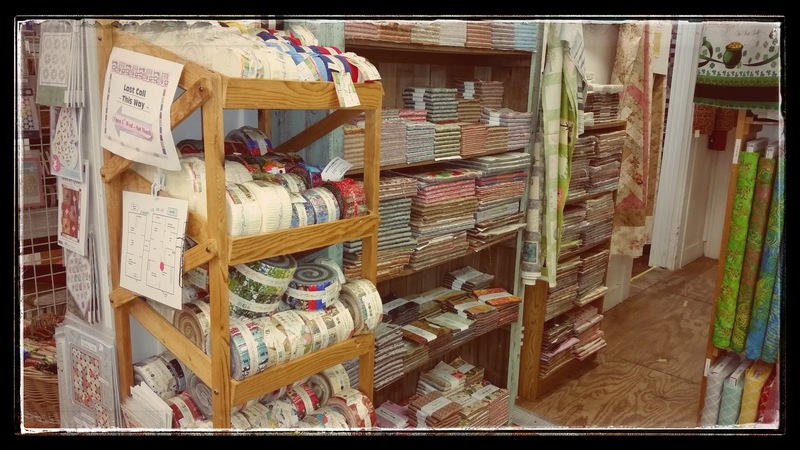 I enter and the first thing I see is the biggest display of pre-cut fabrics I have ever seen in person. This was not all of their pre-cuts, either. There were at least 3 more, smaller sections of jelly rolls hidden throughout the store. 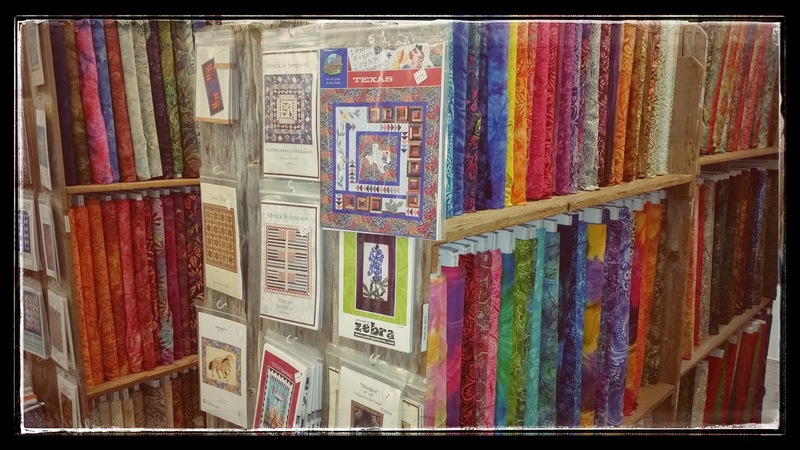 I start wandering the store to see what catches my eye (knowing full well that I will end up back at the pre-cuts because I am a jelly roll addict). As I walk, I notice that there are these maps posted throughout the store. Huh. Interesting. I start wandering some more and find all of this (and at least 10 times more). I didn't bother photographing the civil war era fabrics and repros, but they had those too, as well as some asian fabrics, a baby section and many novelty prints. There was also a small color wall of semi-solid prints. By this time, I had some bolts in my arms to have cut. But where, oh where was the front of the store with the cutting table? Oh crap. I managed to get lost. But wait! There were maps at every turn. 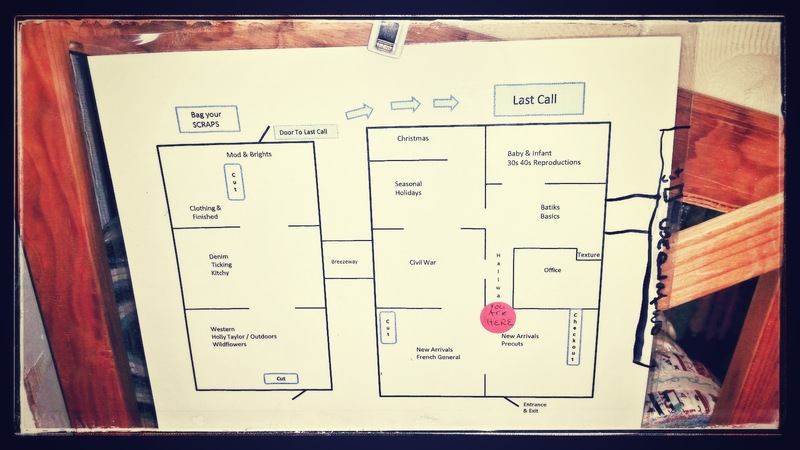 I find a map and make my way back to the cutting area. Triumphant! 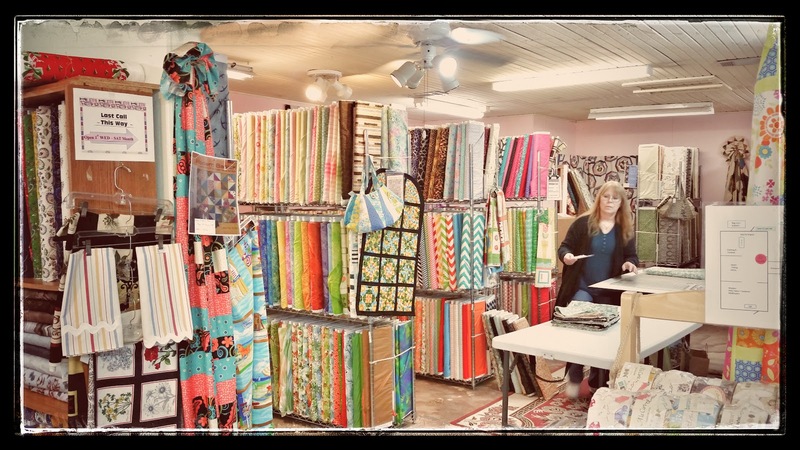 As I was checking out, I found out that they have a frequent shopper program both in store and online (not to be combined, though) and that they have a very large selection of fabrics for sale in their online shop! This is going to be so good it's bad. 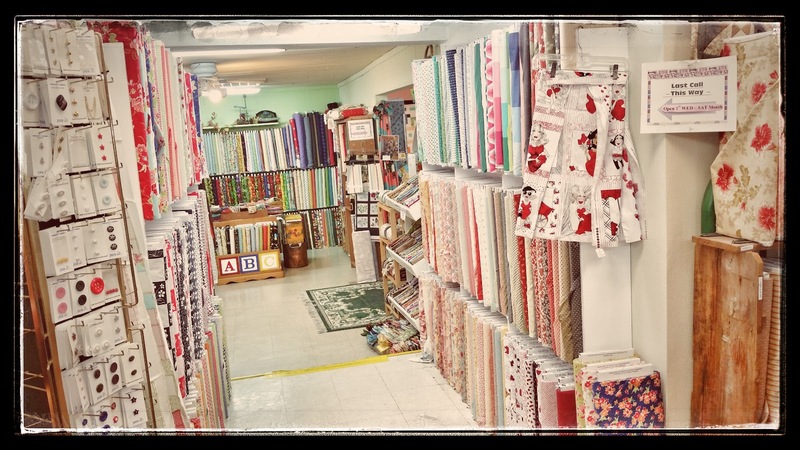 If you ever find yourself near Houston, TX (you know, for that tiny quilt show they have), be sure to stop by and see them in the shop. 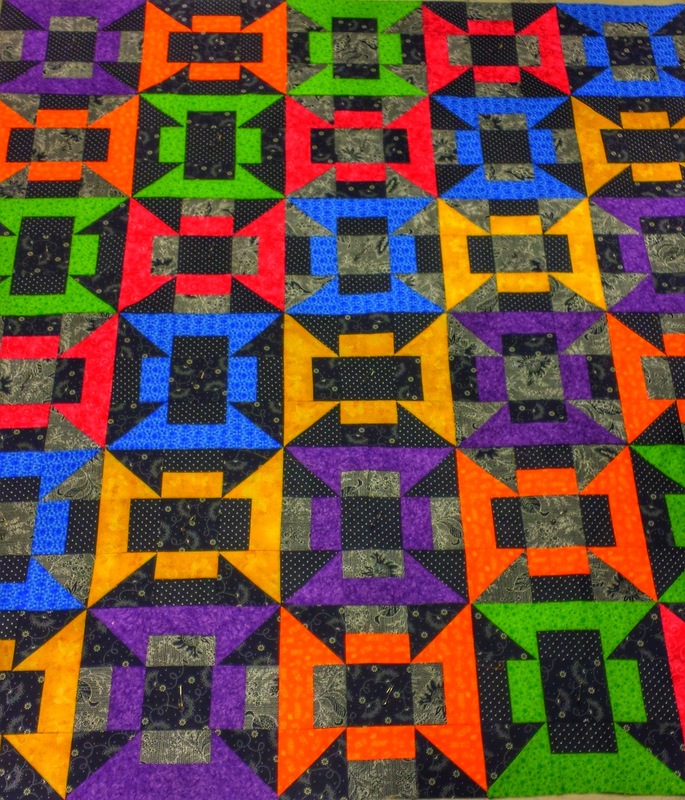 Hello fellow quilters. It has been a long road and I have not posted on here in forever. In addition to finally doing some quilting again, I have been asked to create a Facebook page for the quilt show we are planning. I have created an email address, a Facebook page and twitter account. I am also in the process of getting some new logo designs and shirt designs drawn up by some artistic friends in hopes that the guild will at least consider them for updating the guild image. Here's hoping!